Hi! 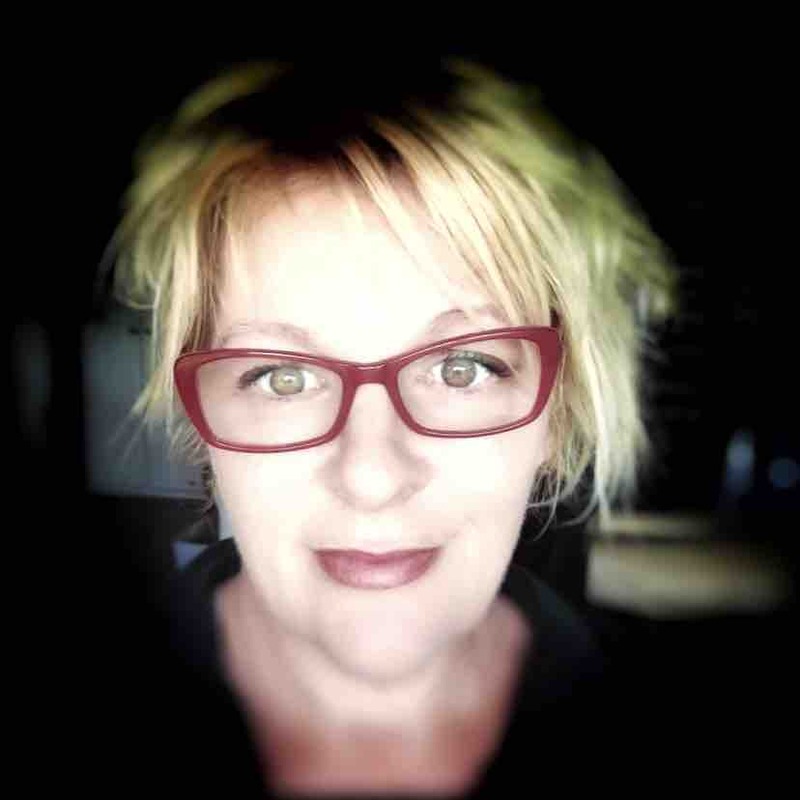 I’m Jul from Mandala Dream Co, living & working in Kobble Creek, Queensland, Australia. A beautiful little pocket of the planet, living & loving life, my family & my role as the one man band for Mandala Dream Co. (In truth I do now have the luxury of having a seamstress & pattern maker who work with me & make my life soooooo much more manageable). Nonetheless I’m the blessed being who sows & cultivates our plants for our eco dyeing, harvests & ferments the hand eco dyes, dyes, designs our range, formulates our skincare, along with chief of photography, marketing, blogging, newsletters, website upkeep & all the fun things that make my life full, joyous & satisfying. What was behind your choice to concentrate on hemp? My first love was textile art, specifically hand eco dyeing utilising natures botanicals (plants, barks, roots, leaves, kino etc) specifically using organic & sustainable fabrics. After using all manner of fabrics including peace silk, organic cotton, bamboo & hemp I simply could not bring myself to advocate for anything other than humble hemp. It’s impossible once learning about the growing, the water wastage & the manufacturing of other fibres to use anything else in all good conscience. The natural beauty we can create with this textile is inspiring, as a little cottage organic hemp creator of bedlinen, eco fashion & skincare I’m proud of our pioneering movement even on this small scale, the fabrics are so very beautiful, becoming softer with each use, heirloom fabrics that last a lifetime and are also resistant to stains, odours, mildew & mould, highest UV factor of all natural fibres, naturally antibacterial. Hemp Biodiesel can replace our need for fossil fuels. Hemp seeds & cold pressed oils are superfoods containing essential amino acids & easily digested protein. High in the omegas with a naturally perfect ratio. It’s so nutritionally superior you can survive on hemp seeds alone for a long period, can you imagine what this could do to those in famine around the world? Its oils are used in our Skincare – it plumps up dry skin & even helps your skin to retain more moisture over time with its use. Nil petrochemicals from plastics are produced with hemp plastics, from plastic wraps for food, bottles and everyday items all the way through to auto parts, with no harmful BPA. Hemp plastics are not only heat resistant and durable they are 100% biodegradable. Housing construction materials (such as hempcrete) made from hemp fibres have been found to be far superior to most materials used in housing construction in our era. Inexpensive hemp can be made into a huge variety of building materials, hempcrete, insulation, blocks, plastics, board, even carpets, whilst being so much stronger and will last soooo much longer than what’s being utilised now. Did I mention they are also fire resistant? mould & mildew resistant? rot free? totally non toxic? & good for us and our planet-and totally natural! Have you any idea how many toxic chemicals and compounds are in our newly built housing? So much of the materials used are processed with toxic chemicals that are released into our living areas (with our loved ones) for years and years. In essence anything wood pulp can do, hemp fibres do far better. 70% of our worlds forests have already been eliminated…and yet we pretend we don’t know why our existence is threatened. Hemp paper can be recycled 8 times, whilst from our beautiful century old trees it’s only 3 to 4 times. I love the gold coloured hemp cushion covers/bed linen. To date, what has been your most popular hemp item? The gold colours are infused on the fabrics utilising onion skins, chamomile, turmeric, calendula petals & marigolds (or whatever I have available in our storage & ferments at the time) – I generally harvest our plant dyes all year round. 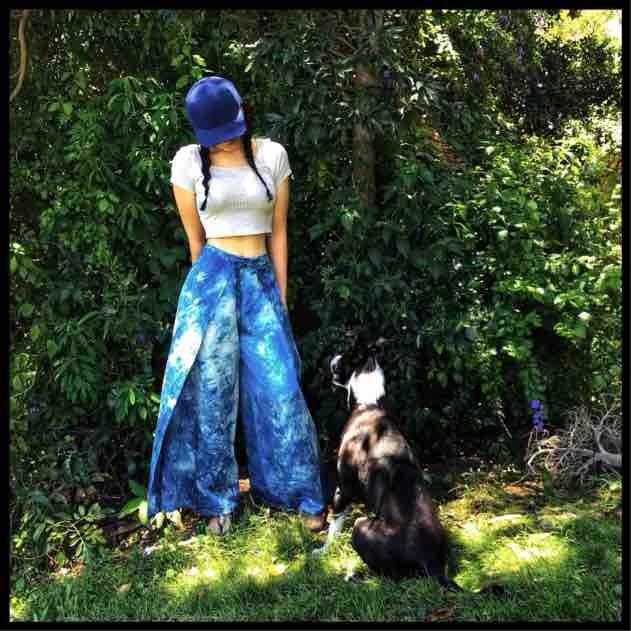 Our most popular items currently are our Natural indigo dyed hemp wrap pants & our Meraki skincare & beauty range. For me it’s the bedlinen, we are so in love with ours (one set for life) we take them to hotels when we travel. They start off their life a little stiff (like a good old fashioned linen in your grandmother’s cupboard), but over time they soften up & ‘wear in’ becoming at one with your bed & its occupants. They stay fresher for longer (meaning we only wash them every 2nd week) and as they are stain & odour resistant they just make everyday life that little bit more comfortable. They have a far superior wicking factor meaning they are highly absorbent & climate reactive keeping us warm in the cooler months here in Kobble Creek; dry, cool & fresh in our hot summer months. We guarantee our bedlinen for a lifetime, it will last that long, & market them as one set for life. I’m impressed with the gorgeous colours – and the fact that each colour is organic, free from pesticides, treatments or chemicals. Where do you source the ingredients and what ingredients make up the rich colour tones? Generally if it grows & is non toxic. I have at least attempted to eco dye with it 😊 Most of our ingredients are grown right here on our 5 acres, though I do have a regular supply of onion skins from our 2 local organic fruit & vegetable producers…which is just as well as we use a lot of those. We collect bloodwood kino (sap) on our family walks from our local trees when they naturally produce; grow our own indigofera, turmeric, berries, cherries, moringa & neem. I use hemp hand cream daily as it is the only product that keeps my hands soft and crack free. 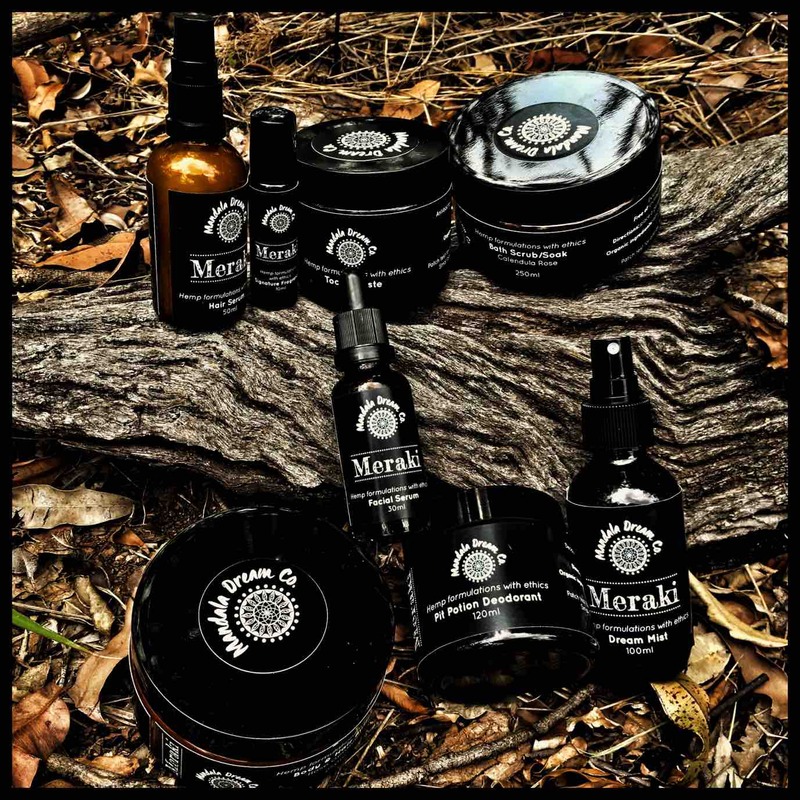 What other hemp based beauty products do you sell? What are the advantages of using hemp beauty products? Are you introducing any new hemp items to add to your collection into for 2018? Yes as above (re the new Meraki range). We are also hard at work designing an ethical wardrobe capsule starter kit which will be created using a lightweight Hemp knit blend which will be a lovely easy option for travellers also: 7 initial pieces which can all be worn in different ways (a jacket that doubles as a wrap shirt, a pencil skirt that can be worn comfortably at different lengths etc). We’ve always been a ‘low waste’ business very aware of our environmental footprint (which is why we hold little stock & create to order), using our fabric remnants for a long time in our labelling, hand stamped business cards etc, & are now starting to produce eco wraps (similar to the beeswax eco wraps used in place of single use plastics, sandwich bags etc) but with a twist. The average eco wrap is non organic cotton, dyed with synthetic dyes & uses bees wax & jojoba oil in the coating. Ours will be 100% vegan using our remnants, organic hemp, botanical eco dyes (leftovers, which are also thickened with soy powder to use as block print inks) & candelilla wax (a plant wax) & hemp seed oil creating a far superior wrap which is vegan for the conscious mums packing their beloveds lunches & snacks. (p.s. 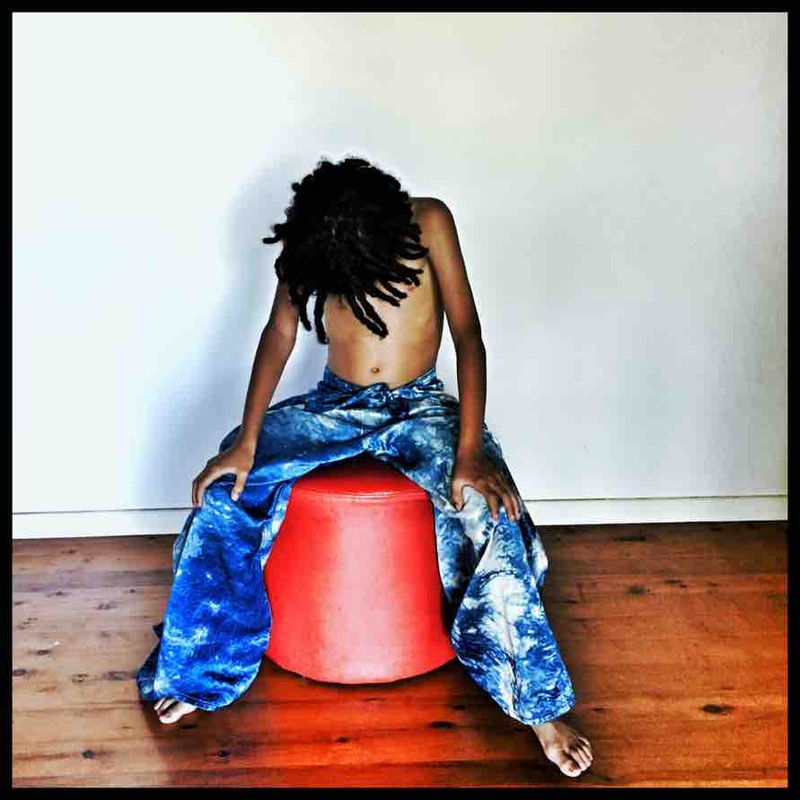 our youngest attends a Steiner school so I certainly have a ready made market right there) 😊… This photo is of a hemp canvas backpack we recently made for our youngest Kingston, along with hemp drawstring pants for our little people. 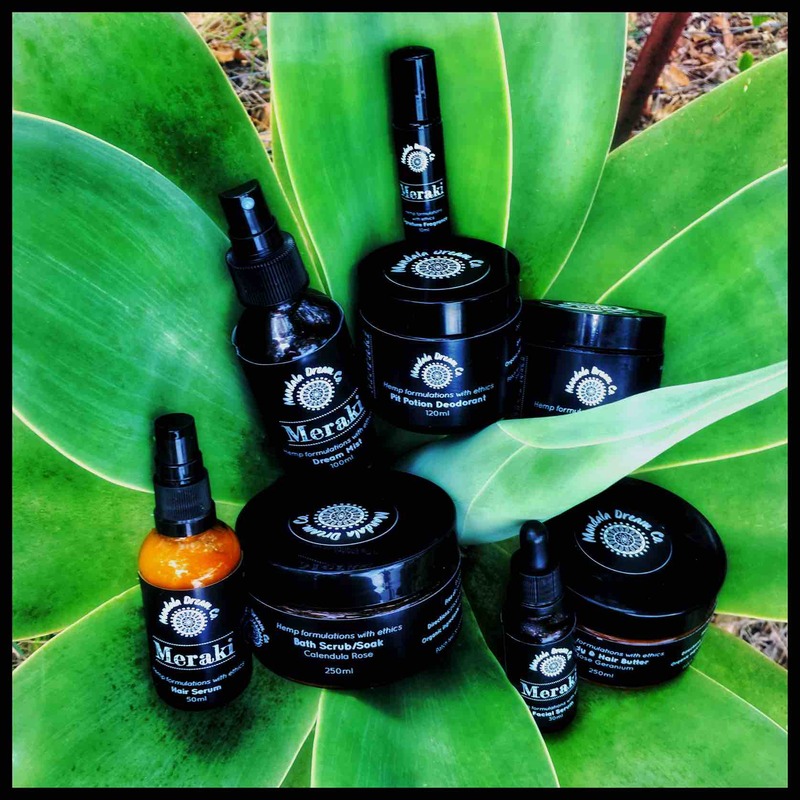 As Mandala Dream Co is based in Australia, are your products available to purchase worldwide? Yes absolutely my biggest market at the moment is Canada (which are hemp early adopters…and just ‘get it’) I’ve also created for clients in the UK, Italy, Greece, New Zealand, Mexico, Cuba, Alaska & even a marines barracks in Fort Benning USA. Delighted to offer to anyone it really speaks to. Choosing brand names can be a hard task at times, especially when you are trying to pick a name to encapsulate the essence of the brand. 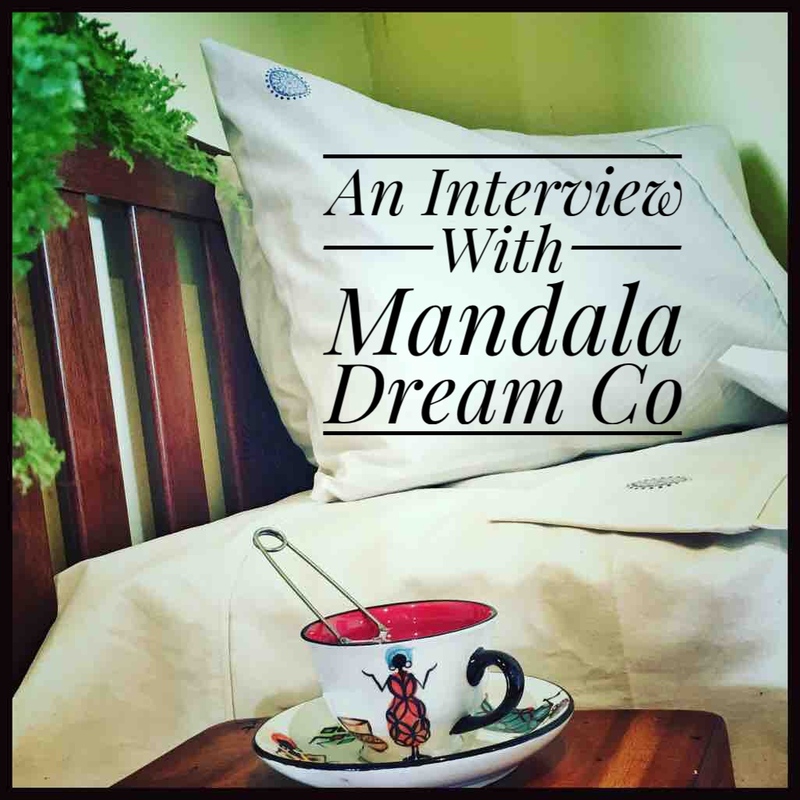 What made you decide to pick the name “Mandala Dream Co”? It was a very personal choice for me & though it doesn’t shout out ‘hemp’, it represents what this little cottage industry meant for me. Mandala Dream Co was born out of me finally finding the calm amidst the chaos., though it took more than a few knocks on my skull before I woke to it. A separation of old wants & new needs really. The Mandala represents the oneness of the psyche with the cosmos, & for me that’s exactly where I found myself in ‘oneness’. The Mandala is a sacred symbol laying down a map for finding our own way to our self, it represents our connection with our earth. My dream was to renew eco sustainable practices & ancient eco dye practices, whilst delivering humble hemp into every household…..& of course The Co. is you, the company we keep…our clients who we wish to heal body, mind & spirit. 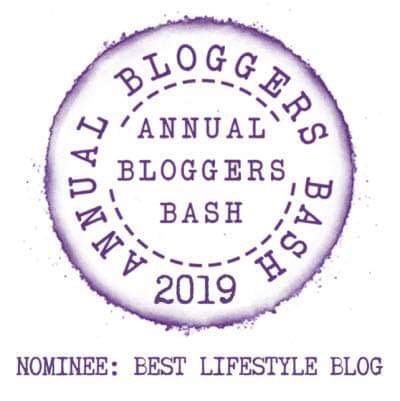 With eco, sustainable, organic hemp bed linens & bed sheets, slow fashion, skincare & beauty creations, made by hand with love & devotion to enhance your health, wellbeing, sleep & beauty. So…for me it’s the essence of the brand, the ethos, the ethics we follow in our business & our every day life, leaving things better than we found them & attracting what’s needed & letting go of things that no longer serve. 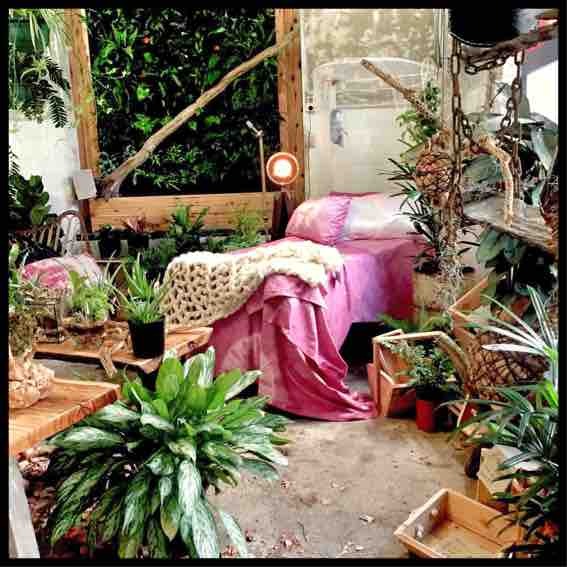 I’m sure you’ve guessed by now I’m a bit of a ‘hippie’, a tree hugger, a greenie? Generally you’ll find me wearing something casual & comfortable & usually one of our creations, certainly a lot of hemp clothing, samples we’ve made for photography, marketing etc, failed attempts at eco dyeing that had to be reworked etc. Many days it’s just torn jeans & a blouse or a hemp tshirt. Oh yes indeed, during the week I wear lots of hemp tshirts from www.superegoclothiers.com : wonderful quality & cool (perfect for when I’m working with the dye vat at 60 degrees). 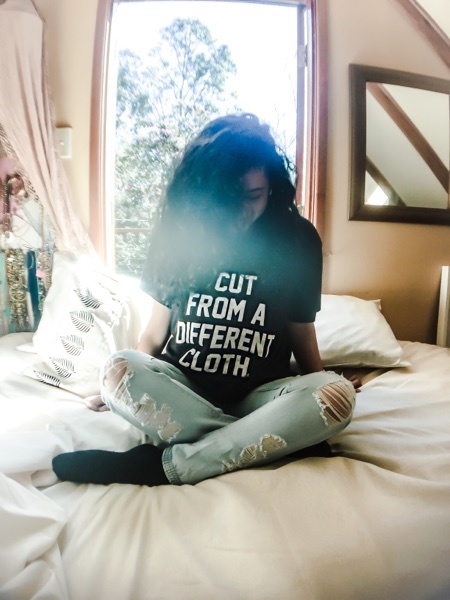 My favourite is in one of the photo below worn by our eldest (Sahara) which has the caption ‘Cut From a Different Cloth’ #cfadc, which of course is the different cloth …Hemp. I adore this brand it’s very ‘urban’ with lots of street cred & will one day be collaborating with Tommie T Lark founder of this wonderful brand. Of course I occasionally get dressed up for a ‘date night’ with my gorgeous Jamaican husband Kaleel & then I’ll go all out & wear something I treasure from either an upcycled vintage op shop buy, usually inspired by the wonder Fashion Hound that is Faye Delanty, or a piece that I simply couldn’t live without buying. Honestly I have no wish list, I’m one of those people who don’t usually purchase for ‘occasions’ as have collected & curated so much over the years I generally have all that I’ll ever need. In fact I’m whittling my wardrobe down to a ethical capsule wardrobe with just a few extra special pieces that I must keep for my sanity. Oh if I could every single day it would be boots as I think they just give an entire outfit a better line & are so comfortable, but alas it’s often so hot here flat sandals are usually my go to. Links you would like to share e.g. website/facebook etc so that readers can find out more about Mandala Dream Co.
All photos were taken by Julie Grant and published with kind permission.